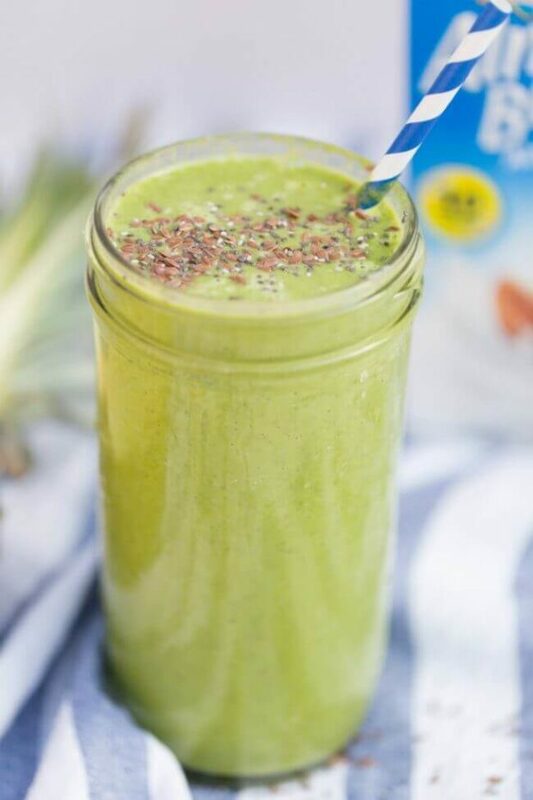 POWER GREEN BREAKFAST SMOOTHIES ARE A QUICK AND EASY WAY TO FUEL THE DAY. Have you always heard “breakfast is the most important meal of the day”? Me too. But what do you do if breakfast is your least favorite meal of the day? I found my answer: Most times I drink it. Greeting the morning with a green smoothie in hand is a great beginning for a long Things to Do list. It’s a quick fix, too. 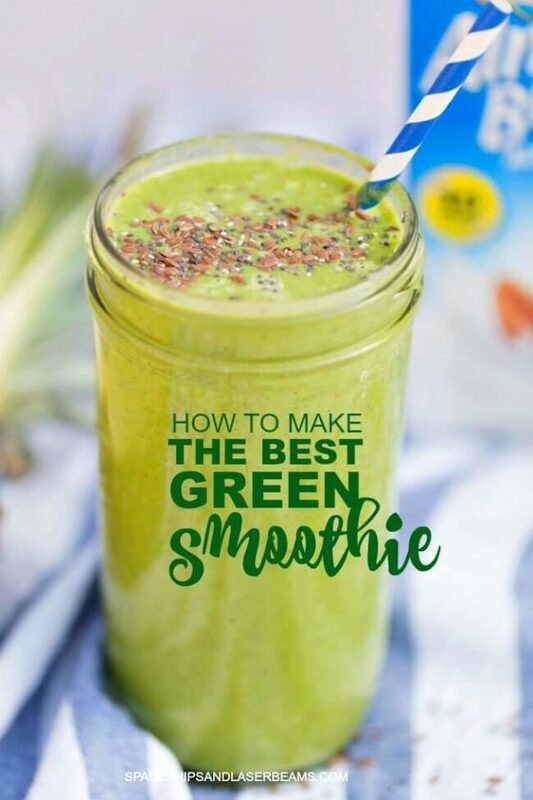 Thanks to Almond Breeze for sponsoring this post and making it possible for me to share one of my favorite green smoothie recipes with you! 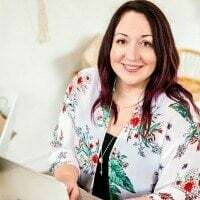 My morning appetite is almost non-existent and any mild indications of hunger are easy to ignore while I get going on my (always) busy day. Bad habit! Personal history proves this is a sure route to mid-morning energy stall. Green smoothies are a simple way to pack in those greens most of us don’t get enough of. Swapping out the fruits and greens gives you a variety of choices so you never get bored with the taste. You can also add flavor nuances by changing Almond Breeze beverage flavors. Find it in original, unsweetened options as well as Vanilla, Chocolate, Almond Cashew, and Almond Coconut. 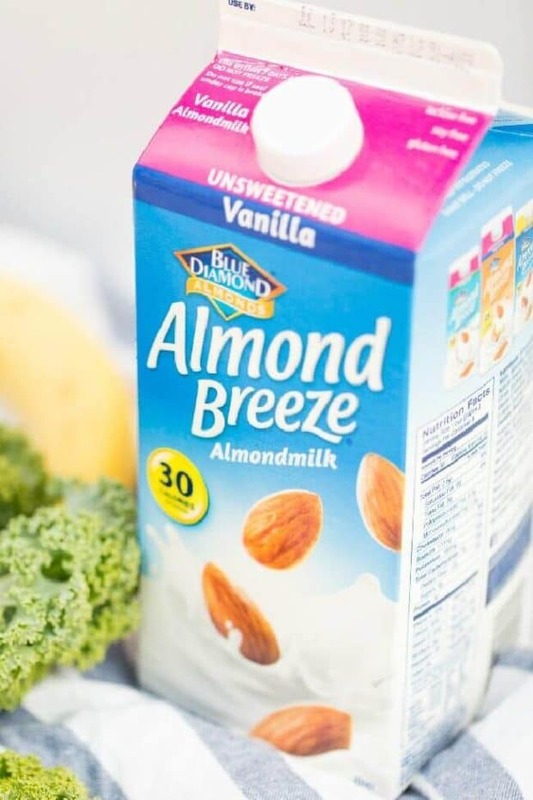 Have you tried Almond Breeze? Even if you don’t have a lactose intolerance, the smooth taste is a great alternative to dairy. And it’s soy free, too. I also like that it seems to stay fresher, longer. I use Almond Breeze in my family’s oatmeal and it’s perfect in iced coffee as well as smoothies. It’s low in calories and I love how it infuses the oats, coffee, and smoothies with extra flavor. Totally yummy. Totally guilt free. This Power Green Smoothie includes lots of good tastes. 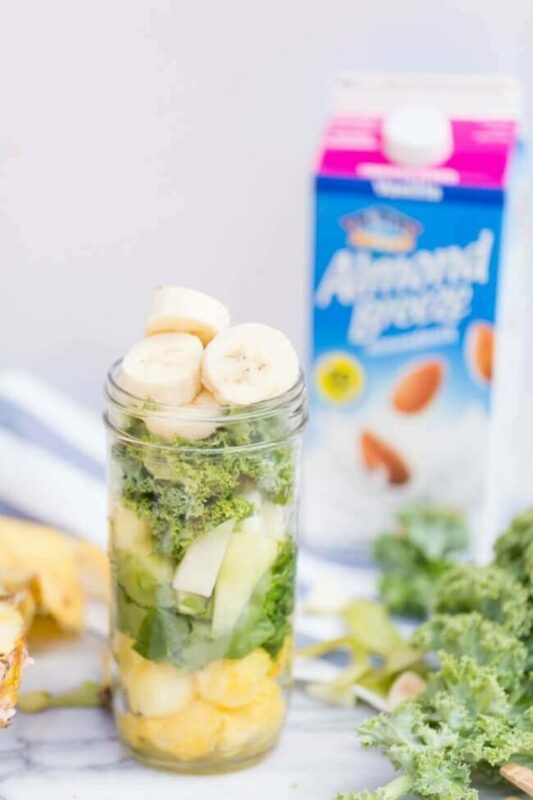 Pear, pineapple, and banana are delicious with almond butter and Almond Breeze Vanilla. Topping everything with ground chia and flaxseed adds more good-for-you benefits. And you don’t have to reserve smoothies for breakfasts only. They make super snacks. I noticed even my skin took on a new glow when I started drinking green smoothies regularly. 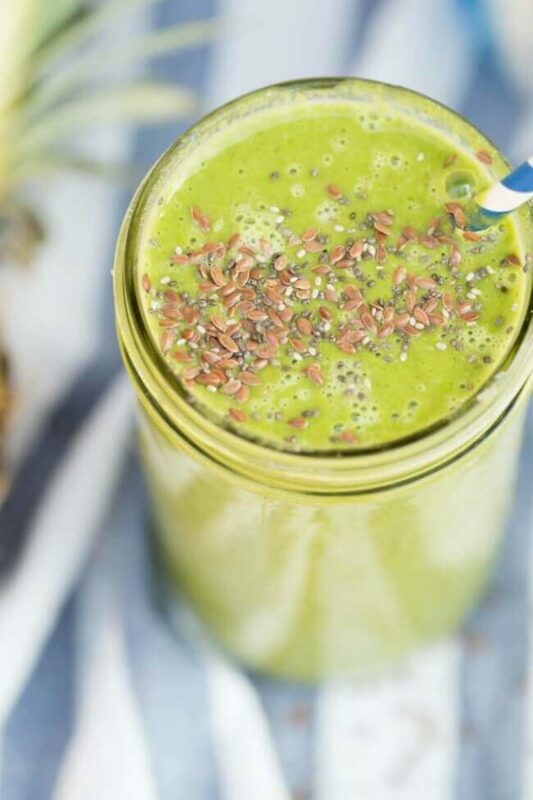 Power up your morning with a green smoothie and get on with the day. 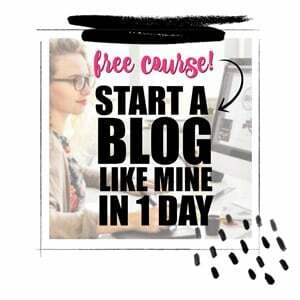 It’s a quick way to tackle that never ending To Do list! Put all the ingredients into a blender cup and blend until smooth. Adjust for taste. 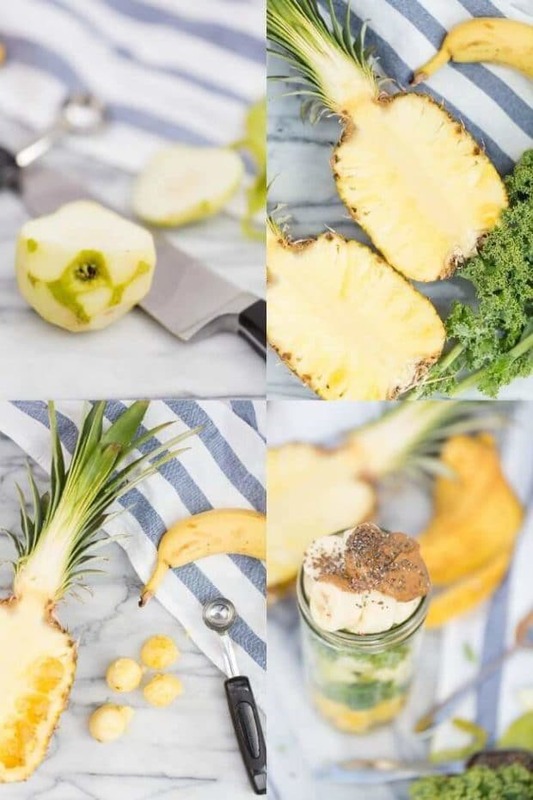 You can add more pineapple for acidity and more maple syrup for more sweetness. Serve cold immediately. A great way to start the morning or even for snack. 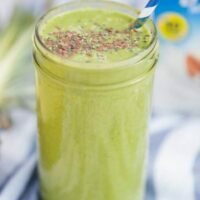 Healthy smoothie with an amazing taste!